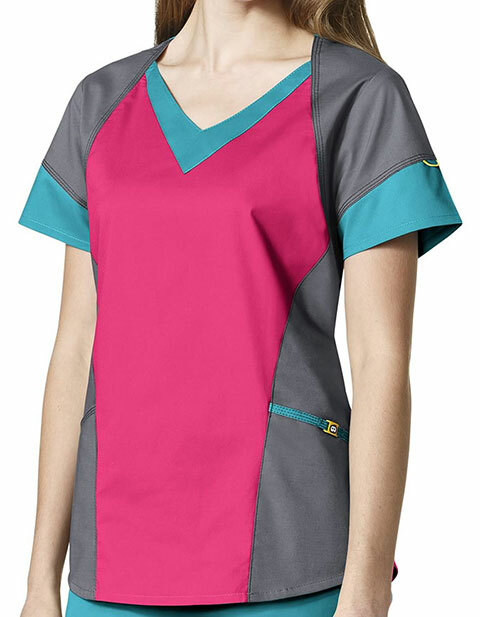 Add colors to your workwear collection with WonderWink seven flex women's contour seaming tri- V-neck top. Designed with stylish contrasting trim and a contrast back neck; the top will give you a vibrant feel all-day long. It has two top-loading lower pockets with WonderWink logo slider to keep your belongings safely. Moreover, the stylized detailing of shoulder inset, sleeve finishing, and slimming front contours gives a perfect look on the go.